Karma was born in Tibet in 1957 and escaped to India as a very young child. His early education at Wynberg Allen School, Mussoorie- one of the top schools in India, was possible because of the efforts of HH The Dalai Lama to educate the early Tibetan refugees and the kindness of individuals who sponsored his school education. Karma’s early love was for teaching and after graduating from Wynberg Allen School in 1972, he joined Mt. Hermon College of Education, Darjeeling to get his teaching certification. In March, 1975, he began his teaching career at the Tibetan Children’s Village School (TCV) at Dharamsala. Since then, for around forty years, he has worked for the education of Tibetan children in exile in various capacities – as a teacher, administrator, educational planner and fundraiser. Much of his work was based at the Tibetan settlement at Clement Town in North India where he was the principal of the Tibetan Nehru Memorial School and helped to found Kyitsel-ling Tibetan Children’s Education Center in collaboration with TCEF. In 1994, he won a Fulbright scholarship and got his Master’s in Education from Harvard Graduate School of Education with a concentration in International Education. He returned to India to continue his work with the education of Tibetan refugee children. 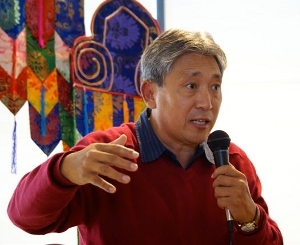 As a leading Tibetan educationalist, from 1997 – 2001, Karma was a member of the first Tibetan National Education Policy Committee that helped to draft the first policy document for Tibetan education in exile. Over the past fourteen years, as the Executive Director at TCEF, he has traveled extensively all over the country doing well over a hundred presentations on Tibet, Tibetan culture and the educational needs of Tibetan children in exile. He is in love with his people and culture and is passionate about sharing it with Western audiences. 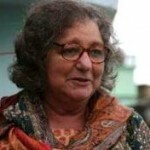 India has devoted her life to non-profit organizations. She is one of the founders of the Feathered Pipe Foundation which served as an umbrella organization for the Tibetan Children’s Education Foundation (TCEF) . India was instrumental in moving TCEF to become its own entity. Through her extensive travel experiences, India decided that she could make a difference in the world by creating and implementing educational programs. India’s work is based out of Helena, Montana. Roberta became intrigued by the Tibetan people and culture initially through spending time traveling in India and Nepal in the 80’s and 90’s. In 2003, I was planning to move back to my home state of Montana. At that time I was traveling in India with my good friend V.J. Supera, who invited me to with her to visit Kyitsel-ling, TCEF’s first school in Clement Town in northern India. I was deeply affected by our two or three short days there. The love and great care for the entire situation that I experienced from everyone was wonderful. So I was delighted when V.J. invited me to join the TCEF board. I have found it a true privilege (as well as a lot of fun!) to work together with this great group of open-hearted people who are all deeply committed to making a difference. 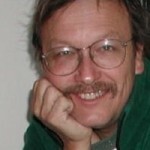 I have been in the past a in junior high school teacher and a school psychologist. The last 27 years I have had a silver jewelry wholesale business, with production based in India. I still enjoy traveling in Asia and continuously re-discover how “travel is the best education”. Roy Andes grew up in the east, but as a captive to mountainous geography, came west in 1977 to practice law and conflict resolution in Montana. Again pulled by geography, in 1983 he first went to climb in the Nepalese Himalayas, and discovered what has since became a many-year love affair with the Tibetan culture, people, and spirituality. Winter’s interest in Tibet and her affection for the Tibetan people began with her family’s connection with Karma Tensum. She first visited Kyitsel-ling, Clement Town, when she was 15. Her admiration of the courage, resilience and integrity of the Tibetan people in claiming and preserving their culture drives her interest in TCEF. Winter is an intrepid traveler having been an importer of jewelry and carpets from India, Pakistan and Afghanistan, as well as helping guide tours for the Feathered Pipe Foundation India and Bhutan. In the summers she works at the Feathered Pipe Ranch in Helena doing every kind of cooking and cleaning job as well as hosting workshops, attending to guests, assisting at the Shanti Boutique and much more. Winter is also an artist in stained glass and fabric and has donated numerous pieces for TCEF fundraisers. She has many friends among the Tibetan artists community for whom she’s organized art shows in the US and Sikkim. Winter’s experience in fundraising includes managing silent auctions for our many local fundraisers and participating in our MoMo Road Shows. Winter donates considerable time and expertise to TCEF and is excited to take her participation to a new level. VJ was the founder of the TCEF vision of sponsoring Tibetan children. While living in India she began a sponsorship program for the young monks in the Clement Town Monastery. This project expanded into all Tibetan children in 1982. VJ is an international trader in antique goods from Asia and Central Asia. When not working in Asia, she resides in Helena, Montana. My passion for different cultures goes back to a young age. My mother took me all over the world on her work trips for as long as I can remember. On one of these trips to India at the age of 4, I first met Kama Tensum (now ED of TCEF). He was assisting with the group my mom was leading and we survived a near death experience together in the Himalayas. Even at that age I already could see his kind nature. Through the years our families have spent a lot of time together including various visits to Clement Town, the Tibetan colony where Kyitsel-ling is located. In these visits, I saw the difficulties Tibetans in exile were facing, poverty and living in refugee status. I realized more and more how amazing Tibetan culture is in its altruistic and peaceful nature, not to mention fun. This is a culture that can inspire us all. With so many Tibetans living in exile, the risk of losing the culture becomes higher especially for children. This is why the Tibetan Children’s Education Foundation is so important. We can help make a difference in children’s lives while helping to preserve the amazing Tibetan culture. In 2000, I had the opportunity to join the board of TCEF and also started sponsoring a child. It has been an amazing experience watching him grow and develop in to a charming young man. He has had an opportunity to learn that he may not otherwise have had if it weren’t for the work for TCEF. His family is always so warm, welcoming and grateful when I see them. It is very fulfilling to be a part of TCEF’s good yet challenging work in helping to preserve Tibetan culture in exile. Jane has been on the board of the TCEF since 2006. Prior to that, she served on the board of the Feathered Pipe Foundation for 7 years. When living in Florida, she served on the board of the Marine Discovery Center for 4 years. Jane worked as a Rehab Counselor for 18 years in Ohio. 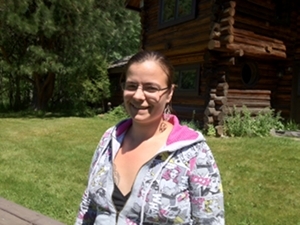 She lives in Helena, Montana with her teenage son, Sam and college student daughter, Emma. 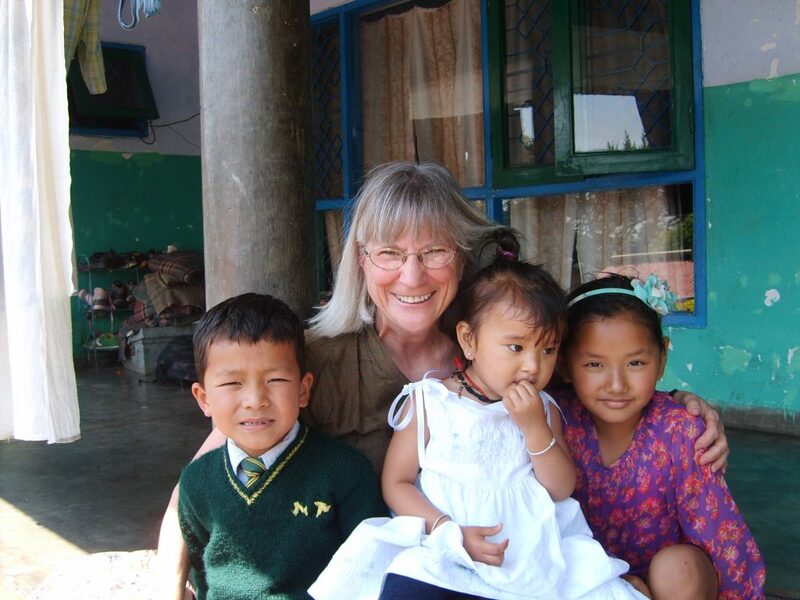 Jane has traveled with TCEF to India, and recently to Sikkim on a TCEF service trips and remains committed to the cause. Jennifer Prugh owns ‘Breathe, Los Gatos,’ a yoga studio, tea house and wellness center that offers over 100 classes a week forevery level of practice. 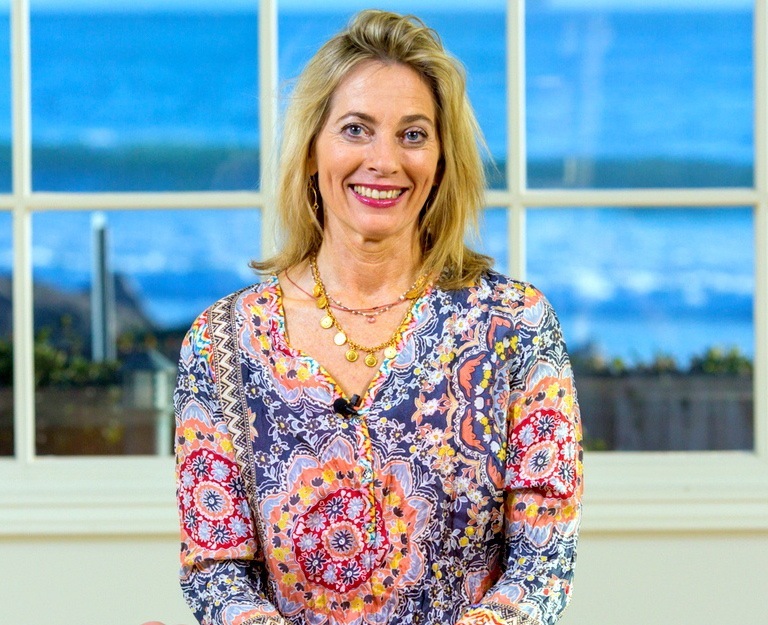 Founder of the Yoga Alliance certified RYT 200 and 500-hour ‘Joy of Yoga’ teacher trainings. she is passionate about guiding students toward discovering what is possible in life when we bring our whole selves to each moment. Jennifer leads yoga adventures and retreats all over the world. A professional artist with a master’s degree in Art and Consciousness Studies, she was an associate professor for eight years at Cogswell College where she taught storytelling, mythology and creativity. 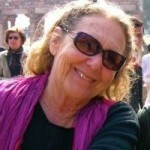 She began practicing yoga in 1989, and teaching yoga after in 1999 following the death from cancer of her greatest mentor, her father, Jennifer left higher education to teach yoga exclusively, in the words of Joseph Campbell, “ to follow her bliss.” Her online classes can be found on www.yogaanytime.com. Jennifer took refuge in 2010. She is a member of the board of the Tibetan Children’s Education Foundation and because education changes the world, she enthusiastically encourages people to sponsor the education of Tibetan children and children of refugees from neighboring countries who live in India. She lives with her husband Will, their son Liam, and their golden retriever, Hobbes. Jane has been a TCEF sponsor since 2005. She first became interested in things Tibetan when Karma Tensum spoke to her Rotary Club about the newly-formed TCEF. She traveled to India, Nepal, and Tibet in 2004 and fell in love with Tibetan culture. 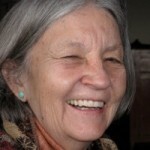 Upon returning home, she contacted TCEF and began sponsoring a Tibetan refugee student in Kyitsel-Ling. 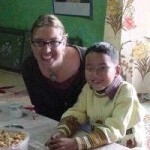 Not long after that she began sponsoring a Tibetan refugee elder as well. She has traveled to India three times since then, visiting her sponsorees each time. Jane has supported TCEF through attending, donating silent auction items to, and working at TCEF events through the years. She was invited to join the TCEF Board in 2017 and happily accepted. Although she volunteers with a number of nonprofit organizations in the Helena area, she believes that her work with TCEF is among the most important and fulfilling. Jane is a retired attorney and lives with her husband and four dogs in Clancy, Montana.